The Ginza district of Tokyo, literally "Silver Mint", is located in the Chuo ward. 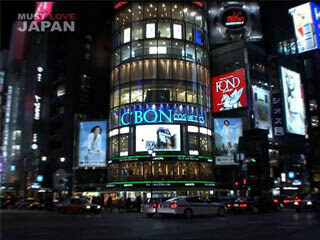 It is considered the high fashion center of the city and contains many upscale shops and restaurants. Getting to Ginza is usually easy - in the heart of the area is Ginza station, connected to the Marunouchi, Ginza, and Hibiya subway lines. Alternatively you may walk to the area from the JR Shimbashi or Yurakucho stations, Higashi-Ginza station on the Toei Asakusa or the Ginza Itchome station on the Yurakucho subway line. Modern Ginza began in 1872 when, after a devastating fire, the district was rebuilt with two- and three-story Georgian brick buildings designed by the Irish born architect Thomas Waters, along with a shopping promenade on the street from the Shinbashi bridge to the Kyobashi bridge in the southwestern part of Chuo Ward. Most of these European-style buildings are gone, but some older buildings are still there, most famously the Wako building with its clock tower. The heart of Ginza is the intersection of Chuo-dori and Harumi-dori, dominated by the glass cylinder of the San-ai Building. With its huge neon sign, it's been the image of Ginza on postcards and travel books for decades now. The other corners are occupied by Wako and Mitsukoshi, two of the most prestigious department stores (the former being a cut above), and the Nissan Gallery, which shows off new and classic automobiles. The side streets of Ginza are full of art galleries featuring paintings, photography, and graphic design. The Nichido Garo near the B9 exit of the Metro Ginza line is one of the most famous, often frequented by collectors from Europe and the United States.